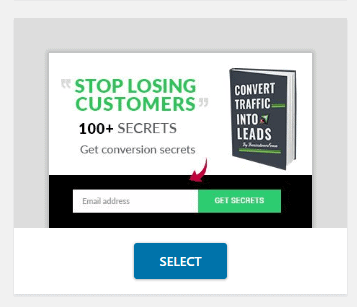 Convert Pro Review: Best Alternative To Thrive Leads & OptinMonster? Lead generation is one of the most important activities to grow your business. Whether you run a big business or a small blog, collecting email subscribers will not only help you increase your website traffic but also grow an audience. There are many tools and plugins available that help in growing an email list. One such lead generation tool is Convert Pro. Convert Pro is a fairly new tool in the market but with its great features, it has made its mark in the industry. Is it the best alternative to Thrive Leads and OptinMonster? Thrive Leads and OptinMonster are the best lead generation tools in the market. So why do people compare Convert Pro to these two tools? 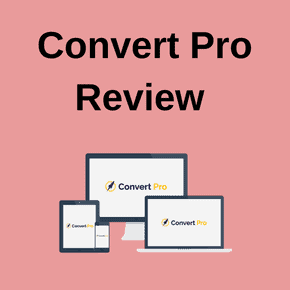 We’ll find this out in this review where I’ll go through Convert Pro in detail to show you what the tool has to offer and how it can help you grow your email list. 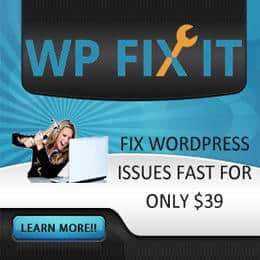 Convert Pro is a lead generation plugin for WordPress. With this plugin, you can collect emails and grow your email list. The plugin offers various features such as a drag-and-drop builder, different types of opt-in forms, and more. Convert Pro was developed by Brainstorm Force, the company behind Astra, the fastest WordPress theme in market. They have developed many quality products that are used by thousands of people. This alone is an indication that Convert Pro is a plugin with awesome features. Convert Pro is very similar to Thrive Leads and OptinMonster when it comes to features. The plugin comes with a drag-and-drop editor just like Thrive Leads and OptinMonster which makes creating opt-in forms very easy. Creating opt-in forms with this editor will literally take you minutes without typing a line of code. This feature makes Convert Pro even better! With the mobile editor, you can see how your opt-in forms will look on mobile devices and edit them directly without switching your view back and forth. This saves a ton of time because creating opt-in form that looks good on mobile is a task that should be done carefully. Convert Pro plugin offers professionally designed templates that help you increase your conversion rate. This templates can be tweaked easily so that it looks exactly the way you want. Cloud technology is not used by many list building plugins. But Convert Pro offers it to help you improve your website’s performance. When you install a lead generation plugin on your website, its templates are also stored on your server. But with Convert Pro’s cloud technology, all the templates are stored in their template cloud and only the templates you use are installed. It’s important to display your offer at the right time to the user. This increases the chances of converting them. Exit Intent Trigger: This trigger will display the message when the visitor is about to leave your website. Well Timed Trigger: With this trigger, you can display your message at the right time by custom timing. Welcome Trigger: Welcome your visitors with this trigger. You can display a message to the visitor right when they visit your website. User Inactivity: Make the most out of your visitors by converting them. If a user is inactive on your website, this trigger will help you convert them. After Scroll Trigger: This trigger displays your message when the visitor scrolls a certain level on a page. After Content Trigger: Display your message when the visitor has reached the end of the page. A/B testing has become an important part of list building plugins. Split testing helps in finding out what’s working on your website and what’s not. 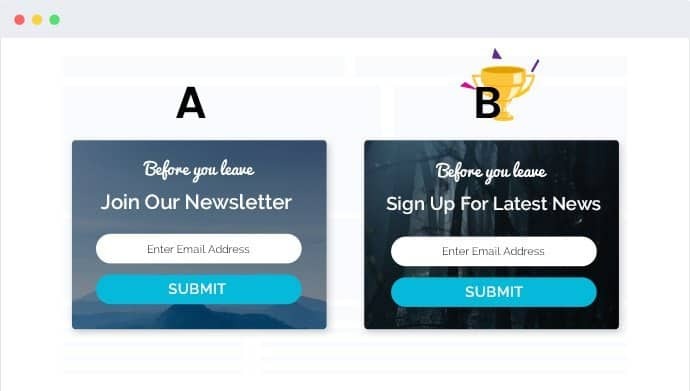 With A/B testing in Convert Pro, you can test variants of your opt-in forms to find out which one performs better. Unlike the A/B testing in many list building plugins, you can run different types of A/B tests in Convert Pro. 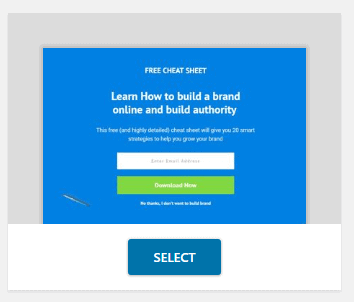 You can test the design of your opt-ins or create multiple variants of your message. You can even test different types of opt-in forms and see which performs better. You can target audiences using the advanced filters that come with Convert Pro. These filters will help you get higher conversion rates. Page Level Targeting: Display relevant opt-in forms on relevant pages using page level targeting. Referrer Detection: This helps you create opt-in forms customized with messages that matches the interests of visitors coming from a particular website. Referrer detection is a powerful way of converting visitors. Device Detection: With device detection, you can display custom messages who view your website through different devices. New vs Old Visitors: Convert Pro lets you show different offers to new visitors and returning visitors to ensure high conversion rates. Cookie Control: This helps you hide your opt-ins for a specified time from the visitors who have already opted in. Logged-in Users: You can hide or display custom messages for users who are already logged in to your website. Convert Pro provides real time analytics with the help of Google Analytics integration. 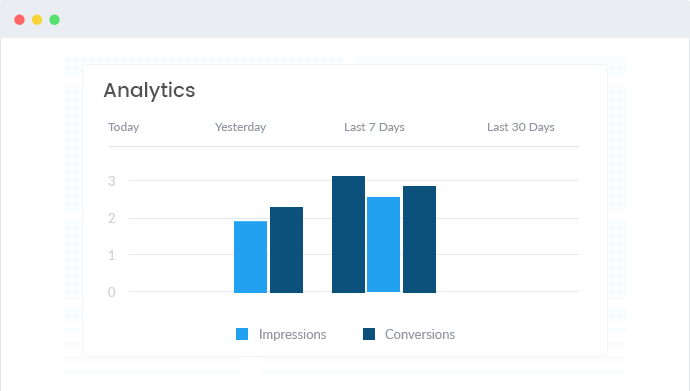 With this integration, you can track your impressions, conversions, and conversion rate in the Convert Pro dashboard. It also tracks your A/B testing impressions and conversions to provide better statistics and help you improve your A/B tests. Since we discussed above that Convert Pro offers a mobile editor, it becomes obvious that the plugin is responsive. 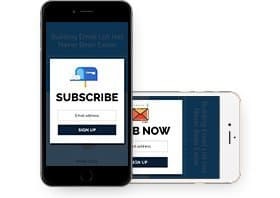 Convert Pro offers mobile specific popups and opt-in forms that are guaranteed to improve your conversions. Convert Pro integrates with all major email marketing providers. So you don’t have to worry whether your email provider integrates with Convert Pro. 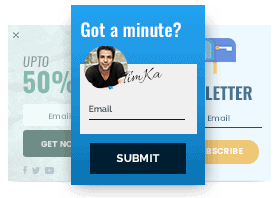 You can create beautifully designed popup forms that will help get more subscribers. There are tons of pop-up templates you can use. You can also create your own popup design from scratch. 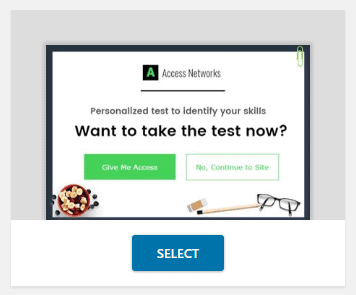 Yes/No popups are on full rage these days as they skyrocket conversion rates. You can create such Yes/No popups using Convert Pro. Info Bar or floating bar is another opt-in form type you can create using Convert Pro. These floating bars are non-intrusive and perfect to display your offers to your audience. Convert Pro also lets you create stunning slide-in forms. There are different templates available to create your perfect slide-in form. 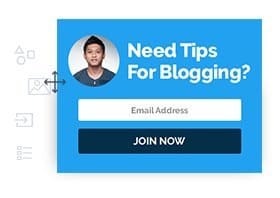 This type of opt-in form can be embedded before or after your blog post in a page. These opt-in forms types are helpful for offering incentives to your audience relevant to your blog post. If Before/After forms are not your type, then you can use In Content forms. These opt-in forms can be embedded anywhere within the content on your page. These are perfect for content upgrades. You can use the widget box opt-in form type to display your form on the sidebar or in the footer of your website. A Convert Mat or Welcome Mat covers the entire screen with an overlay opt-in form. This is useful to welcome your visitors with an offer. Similar to a Convert Mat, a Full Screen Popup is an overlay opt-in form. But it can be launched anytime with a dedicated call to action. 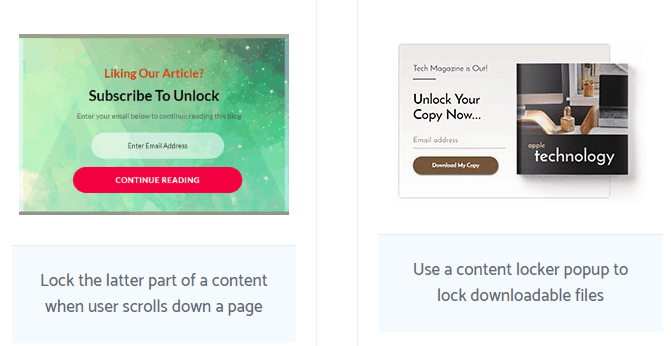 You can lock your content and ask readers to enter their email address to continue reading the article. Lock the content when the reader scrolls down. Use a content locker popup. 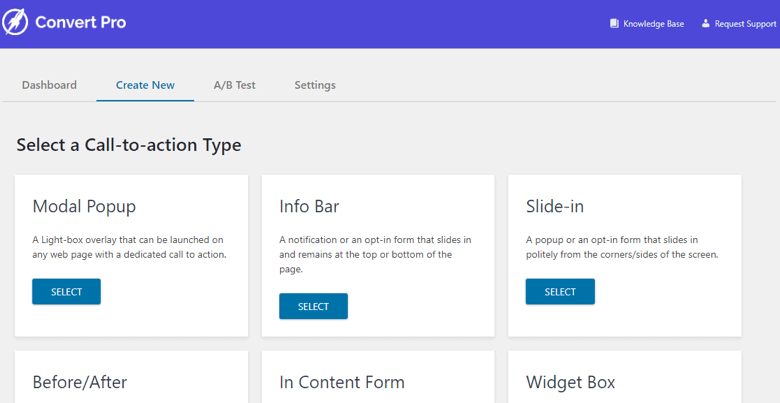 So these were the different opt-in form types you can create with Convert Pro. Now, let’s see how to create an opt-in form using Convert Pro. Once you download and install the plugin, you can go to the Convert Pro dashboard. This dashboard shows a summary of your performance and the call to actions you have created. To create an opt-in form, click on the ‘Create New’ button. Now, select a call-to-action type. We already discussed the different types of opt-ins you can create with Convert Pro. For this tutorial, I’m choosing the modal popup. It’s time to choose a template. You can choose any template you like or you can filter the templates based on the goal. 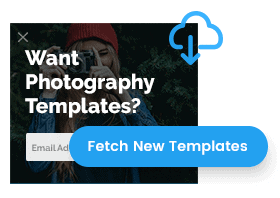 After selecting your template, give a name to your call to action. Once you have selected your template, you can edit it by changing the text, background, and other properties. The drag-and-drop editor makes this process very simple and fast. You can also switch to the mobile editor to make changes to your optin for mobile devices. 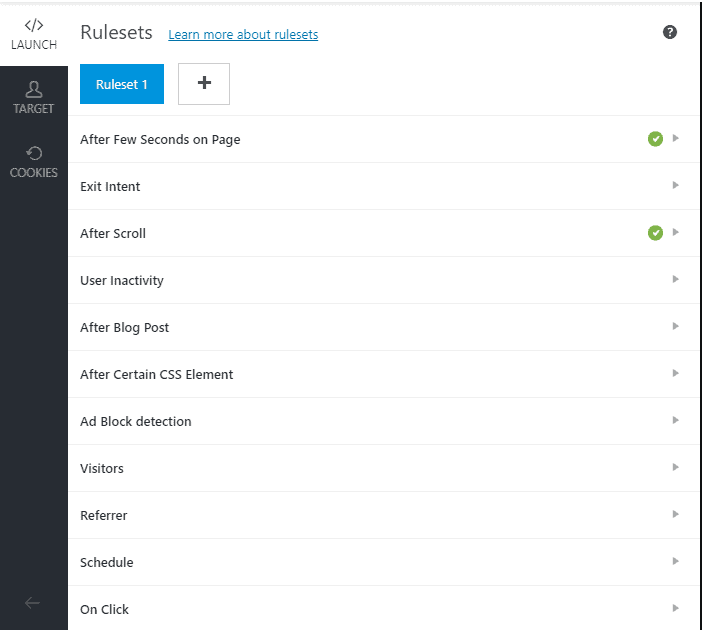 After making changes to the design, go to the configure tab and set the display rules for your opt-in. There are many targeting and display rules to make your opt-in offer target the ideal audience. Convert Pro makes sure their customers receive top notch support. There is a detailed knowledge base with over 50 articles about the plugin. If that’s not enough, you can send a support ticket to the Convert Pro team. The team is very responsive and doesn’t keep anyone waiting as they care a lot about their customers. Their support ticket form is also very detailed which shows how serious they are about helping their customers. In a nutshell, Convert Pro provides an impressive documentation of their plugin along with a very responsive support just in case you run into a problem. Let’s talk about the most important aspect of this plugin: Pricing. Convert Pro costs $99 for a one year license and $399 for a lifetime license. With both these licenses, you can use the plugin on unlimited websites. The one year license provides updates and support for one year while the lifetime license provides lifetime support and updates. Compared to Thrive Leads and OptinMonster, Convert Pro is very affordable. Thrive Leads costs $97 for just five websites while here, you get Convert Pro at $99 for unlimited websites. OptinMonster has a recurring pricing plan which compared to Convert Pro looks costly. So, one big reason why Convert Pro is the perfect alternative to Thrive Leads and OptinMonster is because of its pricing. But before we reach to the final verdict, let me list some of the pros and cons of Convert Pro. Conclusion: Is Convert Pro The Best Alternative To Thrive Leads & OptinMonster? And I wouldn’t even consider it as an alternative. Convert Pro is so good that you can consider it as one of the best list building plugins. Thrive Leads and OptinMonster are good because they have been around for a long time. This relatively new plugin has gained popularity so fast and will only get more popular in the future. The plugin offers top class features with an awesome support. On top of all this, the pricing of the plugin is very affordable considering other list building plugins. If you’re looking for a list building plugin that is not only affordable but does everything you want, then Convert Pro is perfect for you. If you have any more questions regarding this plugin, feel free to comment below. And if you’re already a user of Convert Pro, share your experiences and thoughts about the plugin in the comments section. Convert Pro is the best alternative to Thrive Leads and OptinMonster.